Yesterday, Jim and I went to a memorial service for a lady who lived to be 100 years old! Jim was her pharmacist for many years and later found out that she was the mother in law of his fishing buddy Doug. It is a small world even in the big city! I had never met the woman and it's a big odd when you attend a service and you don't know the person. Well, the family of this dear lady, presented such a lovely afternoon. One of Virginia's son in laws sat on a chair and told the group her life story. Virginia passed away about a month ago, so her family could enjoy the celebration without too many tears. Her children and grandchildren spoke kind words and told funny stories. It was touching, meaningful and very sweet. Towards the end, another elderly lady wanted to share a story. She was another MIL in the family and told us when three of them had gone on a fun road trip. Then she told us a little thing to remember that I will never forget. She said that she had been to another funeral last week and the pastor reminded people about the DASH on a gravestone. We all know there is a DASH between the date that someone was born and the date when that person passed away. Yes, those are important,however, the DASH between the dates represents the person's years on earth. That's what's really meaningful. That tells it all. 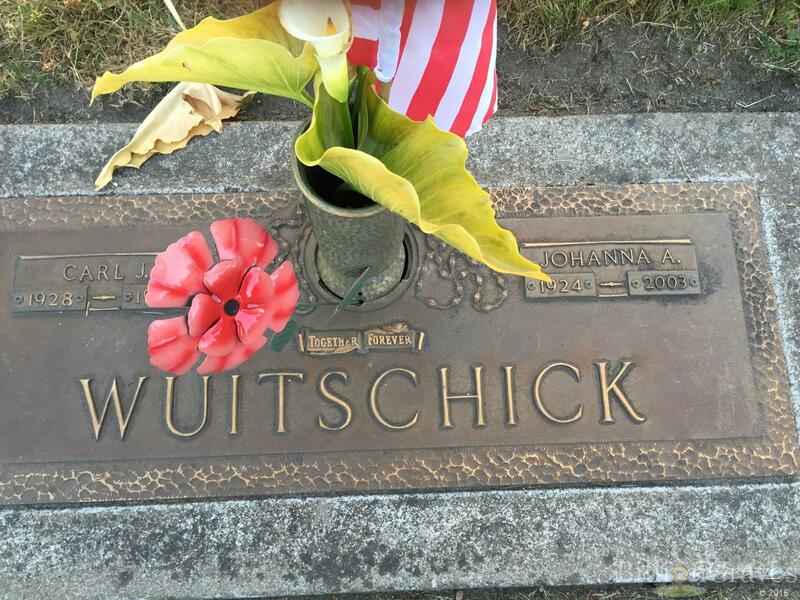 This is a photo of my dad's cousin's grave up in Washington state. 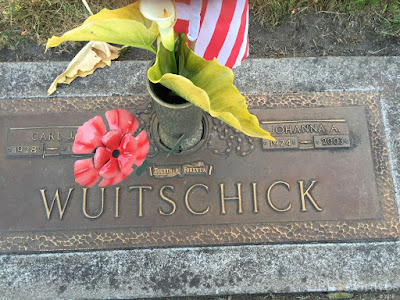 I wanted to us a gravestone from my family for this post. Anyway, the point is how will you be remembered for your DASH? Something to think about, heh? Linda, this is a wonderful reminder of the brevity of life. Our dash is the only thing that really matters and how well I run the dash is ever in front of my mind. Thank you again! Have a wonderful week. What a lovely thought about the dash. Let's make our 'dashes' count each day. The lady sounds as if she had a wonderful life. My goodness...100...can just imagine the stories her dash can tell between her dates. Such a thought provoking post and yet uplifting. I will certainly be thinking about how I can make my dash count. Hope you are feeling a little better.